The Top Appraiser Under 40 Award recognizes exceptional young appraisal professionals – one male and one female – who are making significant accomplishments within the appraisal profession and their community. Jpeg file of award logo for email signature, business cards, marketing collateral, etc. Please note: An appraiser can submit their own application or have their name submitted by someone else for consideration (the applicant’s signature is required). Applications not submitted with the Application Form provided below will be disqualified. Other – please provide other accomplishments that demonstrate the applicant’s leadership, innovation, creativity, commitment or impact. STEP 2 – The Application Form must be sent to ac.ad1555841576anaci1555841576a@sdr1555841576awa1555841576 by February 28th, 2019 by 12:00 pm EST. STEP 3 – The AIC Nomination Committee will review all applications and nominate six finalists (Top 3 Male Applicants; Top 3 Female Applicants). STEP 4 – The AIC Awards Committee will review the nominees and select the Top Male Appraiser Under 40 and the Top Female Appraiser Under 40. STEP 5 – The recommended award winners will be approved by the National Board of Directors. After graduating with a Bachelor of Commerce with Distinction from the U of A in 2003, he became an AIC Candidate in 2004, obtained a diploma in Urban Land Economics from UBC in 2011, his AACI designation in 2012, and a Masters of Business Administration from the U of A in 2016. Simon’s career and volunteer experience is just as impressive as his educational foundation. Simon held positions with Bourgeois & Company Ltd, the City of Edmonton, the Alberta Teacher’s Retirement Board and Bourgeois Chin Associates before becoming Managing Partner (Edmonton) of Bourgeois Brooke Chin Associates and a valuation affiliation of Verra Group. On the volunteer front, Simon has been equally busy; he has volunteered with the AIC-Alberta Edmonton Chapter, he is currently President of AIC-Alberta and he serves on its Advocacy, Promotion/Recruitment & Retention and Provincial Conference committees. 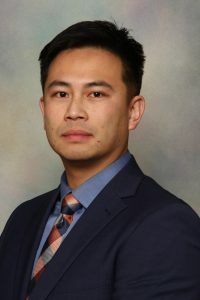 Nationally, he is involved with the Professional Competency Interview program, the Standards Sub-committee, and has previously served on the Marketing & Communications and National Conference committees. 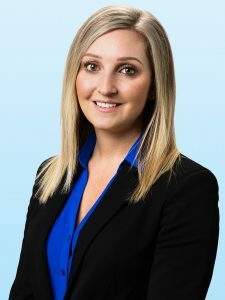 After earning a Bachelor of Science Degree from the University of Alberta (U of A) in 2009, Alison began her career path in real estate and achieved her Real Estate Associate designation that same year. She then completed an MBA from the U of A in 2013, and her Post Graduate Valuation Certificate (PGCV) from the University of British Columbia (UBC) in 2015. Having earned her AACI designation in 2016, and continuing to value education as a vital part of her ongoing career development, she is currently enrolled in the Reserve Fund Planning Program at UBC. In her flourishing career with Colliers International, Alison has completed assignments on over $5 billion worth of real estate across all major asset classes, with a focus on multi-residential properties and industrial developments. She was honoured in both 2014 and 2015 with the Colliers Canada Valuation & Advisory Services Top Performer Award, Associate Category.